This is 'Chase'. 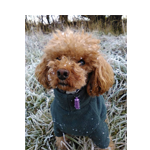 He is a 3yr old toy poodle who competes successfully in agility and is also learning Canine Freestyle. He would like to say thank you to Applaws dog food. I tried many different kibbles to find one that suited. After an Internet search I came across Applaws and have never looked back smile emoticon After a year of being on it he is the picture of health. 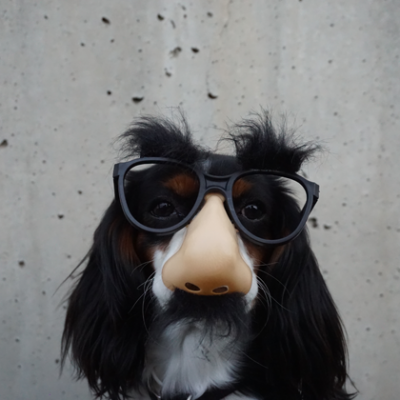 No more greasy fur, runny eyes and upset tummies. I now recommend it to dog owners who attend my training classes. My beloved rescue cat Sox age 12 was sadly diagnosed with cancer with a large tumour in her mouth. (5 pence size) We really didn't have much hope so keeping her comfortable was the aim. Getting any food in her was very hard she'd lost her appetite. We'd tried everything or so I thought. Until we discovered applaws. With holistic / veterinary treatment with a feeding routine of every couple of hours she beat it all. She goes out daily and eats like a little piggy. Just want to say a big THANK-YOU for making such an amazing pet food. 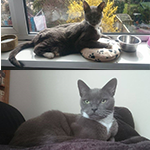 After years of trial an error with different brands I can honestly say Applaws is the best of the best both my dog and cat love it and they look fantastic. I am pleased to say that Yorkie Daisy gave the food an 11 out of 10 she absolutely loved it. I pride myself on giving my girl the best food possible so I have been slaving in my Kitchen and cooking quality chicken, veg from my garden and adding rice and I have to confess that my darling girl referred your product. I put her dish down and she ate her food in record time. Life will be so much easier to just open a tin in the future. More time for walkies. I have to say when the food arrived I honestly felt that it would be just another dog food. with a different name. Well I was so wrong... When I undid the can the food looked so appetizing and the smell was wonderful. tea last night. It looked so good you wanted to try it yourself. The dogs lapped it up I did not think it touched the sides and they looked for more. After having trouble trying to feed 2 fussy eaters this as solved one of my problems. I am going down to my pet shop to order some this morning. I shall be telling my doggy friends about this one. 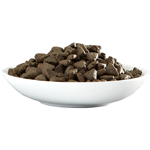 I have Miniature Pinschers ranging from 18 months to 9 months in age and have always found it difficult to find a brand of dog food that not only do all of them like, but also one that wouldn't upset their small stomachs. 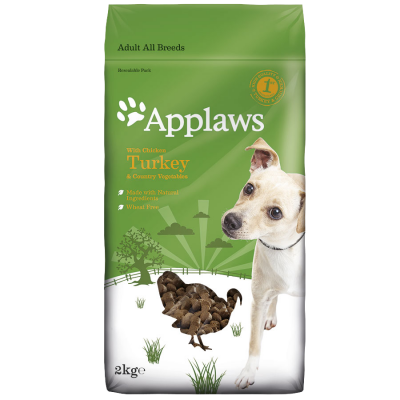 I first read about Applaws natural dog food in one of the dog newspapers and was somewhat sceptical about their claims. I mean a dog food that's gluten free and doesn't contain animal derivatives, by products or cereal - that's a huge claim. However a few days later several samples arrived and when I opened the tins you could actually see the individual ingredients, they looked and smelt wonderful. I divided the different diets up into individual dishes and let my minpins choose which variety to try first. Talk about stunned, the first variety to be eaten by all three of my minpins was the chicken, salmon and vegetable variety, the dishes were not only empty they had been licked clean and all three minpins were looking up at me as if to say got anymore. In the nine years I have lived with Miniature Pinschers I can honestly say I have never seen any of them enjoy their food the way they obviously enjoyed the Applaws natural dog food, chicken, salmon and vegetable variety. And best of all it didn't upset their tiny stomachs. I would recommend Applaws to anyone whose dog is either a fussy eater or whose owner want to ensure they only feed their dogs a healthy diet that doesn't contain any hidden or undesirable ingredients. 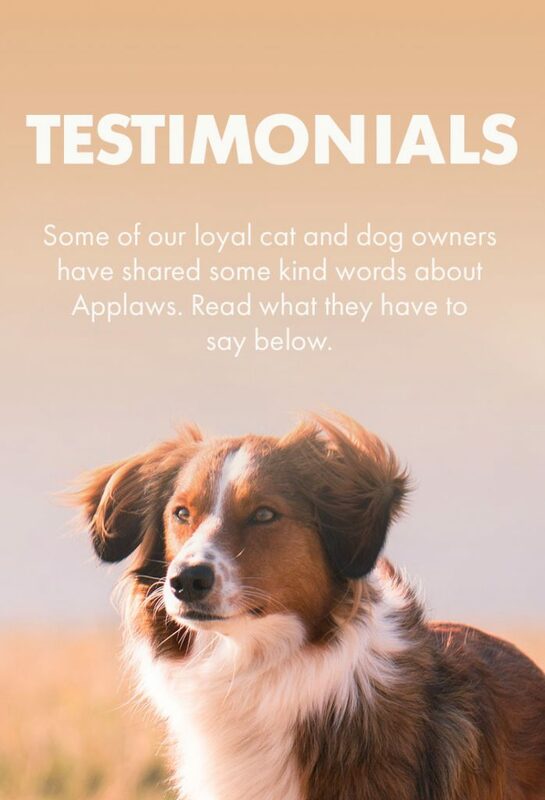 Thank you so much for my free sample of Applaws dog food. My dog really enjoyed it - although being a Bernese Mountain dog she would have like a little more!!! Does it come in larger sizes?? Was most impressed with the free samples you sent me, both my dog and cat lapped them up in the same way that they do when eating a tiny piece of something them from our own plates. The food looks and smells like the food that we make for ourselves, I will certainly be buying it from our local farm shop. in front of him. The Abyssinian also hoovered it up before you could blink. place an order in the next week. I am writing this email to say thank you very much for the samples of food you sent me. The cats absolutely loved it and the fact that it is full of natural ingredients and that the fish is dolphin friendly kept me happy as well. 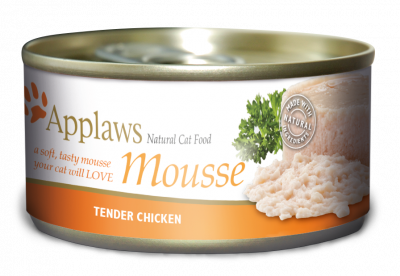 One of my cats is very fussy and turns her nose up at a lot of foods and she sat and ate one of the tins quite happily :-) I will definitely be buying more and recommending the food to friends. quite amazing and actually ended in me having to break-up a "punch-up" between two of them. than ordinary cat-food. I will let you know. healthiest, fittest, happiest cat ever, the high quality of ingredients means he only eats what he needs. Titch is now 1 and is so healthy it?s unbelievable. My vet tried to tell me just to use Applaws as a treat however I would rather use Applaws for all his meals. Compared to the cheap rubbish produced by Felix, Whiskas, which I would say is like feeding your cat Mcdonalds everyday. If I can have one moan it would be that I wish there were more flavours available. 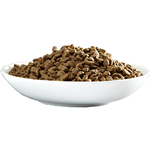 Oh and finally I have got to say that the new Applaws dried food is amazing, my cat absolutely adores it. Keep up the great products - my cat is truly an APPLAWS CAT FOREVER.